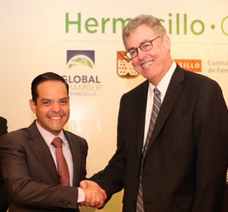 Global Chamber San Diego is part of a thriving and collaborative community of CEO's, executives, and professionals in 525 metropolitan areas around the world engaging in global business. We leverage growing industries in the region and our own professional network to help companies succeed faster and more profitably across borders. By working with local and federal government agencies, trade and cultural organizations, Global Chamber San Diego provides a supportive platform for companies to eliminate common but unnecessary mistakes, decrease business risk, find trade and investment partners, as well as a salient global voice. We are the only organization in the world with the mission to grow business from anywhere to anywhere. Doug Bruhnke is Executive Director for Global Chamber® San Diego and CEO/founder of Global Chamber®, helping member and sponsor companies grow globally. Originally from New York, Doug has chosen to live in California, and he's committed to helping regional companies be more global and successful. He has lived in 7 states and 3 countries (US, Japan and Singapore), and traveled to over 60 countries. Personal: Wife of 36 years, daughter who is an amazing nurse practitioner with Sutter Healthcare in Palo Alto. 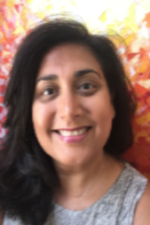 Kuntal Shah Warwick is a marketing and communications consultant with over 15 years of experience in international education, cross-cultural outreach and program management. She has worked across a variety of industries and cultures, with a specific focus on arts and culture, healthcare, higher education, and with a regional focus on India and South Asia. She has supported national and international branding, marketing and communications projects for healthcare, government and retail clients, often times launching memorable, landmark campaigns. Kuntal has particular expertise in linking private and public partnerships, and in impactfully articulating an organization's mission to a wide range of global customers and constituents. Kuntal is excited about fostering business, educational, cultural and creative exchange in San Diego. Now with the Global Chamber®, Kuntal’s team is helping a variety of businesses and organizations in the region find more worldwide success.